TPA Legal, founded by attorney Theasen Pillay, has established itself as being a formidable litigation firm of attorneys. 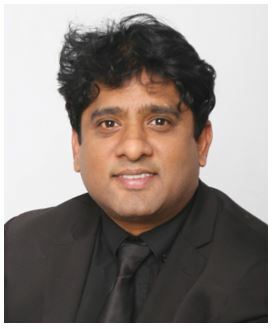 Theasen Pillay, a graduate of the University of Natal - Howard College, is the founder of TPA Legal and is a practicing attorney of the High Court. He explained that he has his late father to thank for his choice of profession. "When I matriculated, I wanted to be an air-force pilot - thanks to 'Top Gun' with Tom Cruise. My father would have none of that talk. He packed me in the car, drove to Natal University and when we got back home, I was enrolled in Law School. 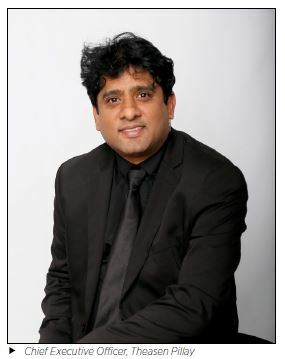 Looking back, he knew what was best for me because I have realised that being a litigation attorney is truly my passion," said Pillay. Due to their success record, TPA Legal has been acknowledged for its legal excellence and integrity. Pillay says that success means different things to different people, but to him it is when you achieve the seemingly unthought-off and in a quiet moment alone, you sit back and think, "Hey - I did that". "There is no short-cut. Success, on whatever measurement scale you use, is the result of relentless effort and continually persevering in what you believe in. It doesn't matter if you fall 100 times, as long as you get up 101 times," he added. With his firm's recent appointment to represent His Majesty, King Goodwill Zwelithini, TPA Legal is regularly in the media. 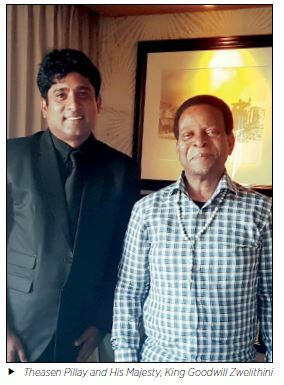 Pillay believes that his strengths in achieving success may be attributed to the fact that he is driven to perform to the best of his abilities. The firm's specialty is undoubtedly their ability to understand their clients prevailing circumstances and thereafter, apply the law to formulate a unique legal solution, that is both optimal and cost effective to the client. In this highly litigious age, it is wise for any individual or business to proactively have a proficient firm of attorneys by their side. In addition to the legal practice, TPA Debt Management offers debt counselling. Considering that South Africa is arguable in one of the worst economic climates in recent history, where an estimated 70% of credit consumers are battling to get by each month, Debt Counselling is an invaluable service, not just to the actual consumer but to businesses because a business loses an average of 35% in productivity arising from their employees' personal financial situations. Thus, Debt Counselling is of overwhelming significance to both to an individual's personal development, as well as to a business's basic operational sustainability and growth. Since its inception, the business has been committed to aiding the less fortunate and the needy. Almost two decades later, this commitment has exponentially multiplied, to the extent that TPA now has days allocated, each week, for CSI Projects. Here legal assistance is offered to those less fortunate and in deserving cases. One matter a month is taken on. Educational literature is collected and delivered to the less fortunate. A weekly project wherein a treat is given to orphaned children and the frail. "There is such personal value in putting a smile on someone's face," said Pillay. This is held each Wednesday. It is a legal workshop aimed at educating the elderly on their rights. In deserving cases, legal services are offered at no cost. To achieving national recognition as a leading litigation firm. To provide exemplary legal services at affordable rates.